SecKeyChain.Add always return Security.SecStatusCode.MissingEntitlement error.Below is my code. Anyone know how to resolved? Does your Entitlements.plist have the Enable Keychain set? yes,It is there but still its not work. 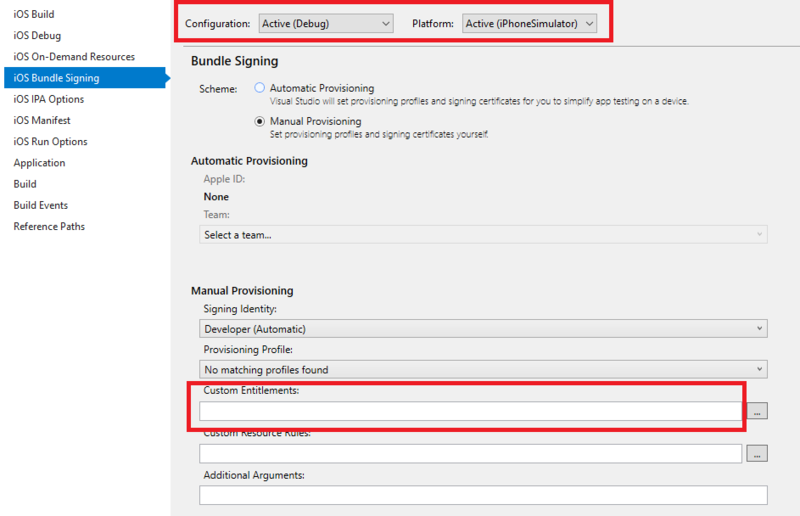 @Bhautik Try to check your project's iOS Bundle Signing: right click your project => iOS Bundle Signing. After setting this you can test keychain on your simulators. Moreover generally we used SecKind.GenericPassword to store data.